Comodo AntiVirus 跟 AVG Anti-Virus Free 哪種病毒防駭功能比較強呢?! CPU佔用率何者為高?! 最不佔用CPU跟防毒功能高的中文版防毒防駭軟件是哪種?! 我所發問的是針對free版本以及免費版本的軟體喔!!請版大詳解感激不盡!! 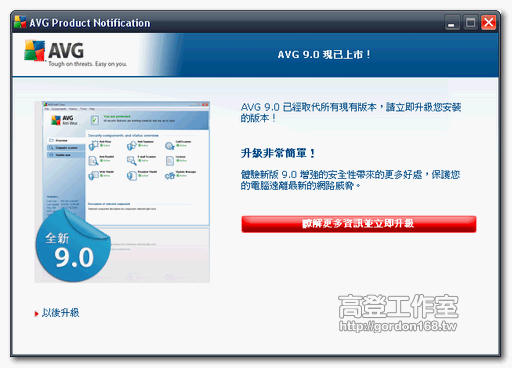 AVG Anti-Virus Free 對於遊戲防掛軟體nProtect GameGuard(神盾)好像會衝突無法排除問題,我目前使用PC Tools AntiVirus Free雖然不知好還不好不過比沒有來的強.......,如果高登大還有更好的中文防毒軟體可以介紹給我當然更好了!! 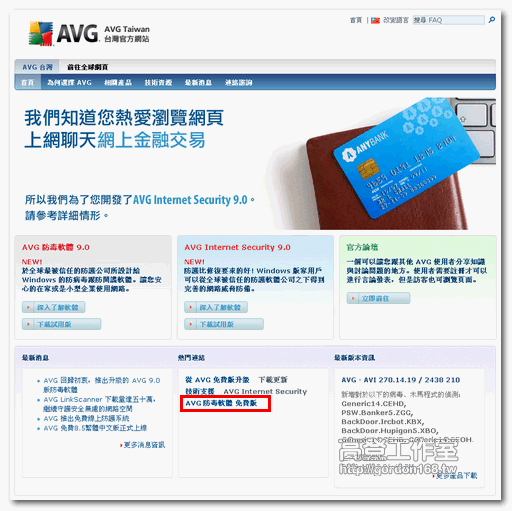 請問高登先生.我也是想請問一下.除了安裝AVG外,有沒有必要再裝PC Tools firewall plus.還有Spyware Doctor ...多一層的保護. 錯誤: MSVC Redistributables installation failed. Installation of AVG can not continue. "C:\Documents and Settings\Administrator\Cookies\administrator@serving-sys.txt:\serving-sys.com.c9034af6";"發現 Tracking cookie.Serving-sys";"已移至病毒隔離區"
請問一下 AVG 9.0 和 卡巴斯基2010 兩者那一個占資源較小啊?